True to the name, you’ll smell this one before you see it and I promise you, it’ll be everywhere! 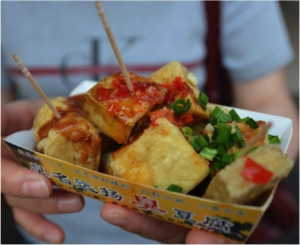 Similar in flavour to a smelly cheese, the tofu is served either crispy or stewed in a spicy sauce. 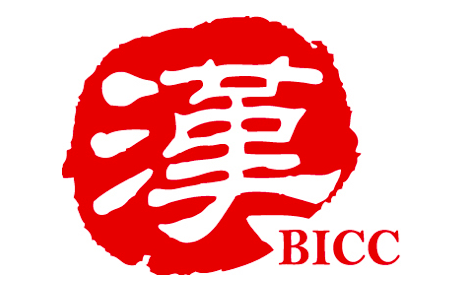 The Taiwanese equivalent to marmite, you may either love it or hate it, but how you could go to a night market without trying it? Just hold your nose and I’m sure you’ll enjoy it! 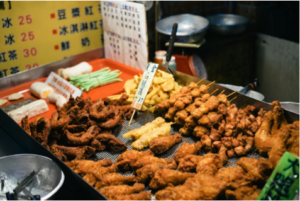 If you take a trip to a Taiwanese night market, you are bound to see a fried chicken shop. The huge juicy chicken cutlet is coated with batter, then deep fried until golden brown. 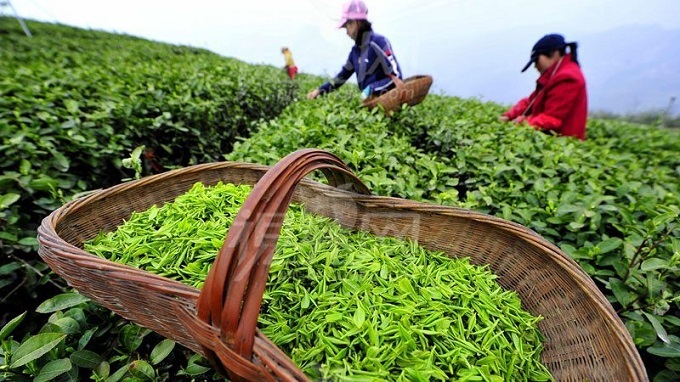 You can then choose to season it with different flavours, such as salt and pepper or chilli powder. Feeling adventurous? Why not try other fried street food favourites like deep-fried squid (炸鱿鱼), or even deep-fried milk (炸牛奶)? 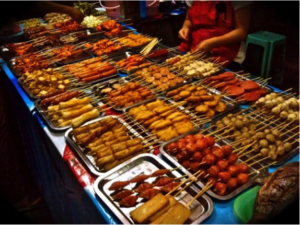 Octopus, sausages, chicken wings, chicken hearts, tofu, fish balls, fish heads… you name it and they will barbecue it! Choose your skewer selection and pop them in a plastic basket for the vendors to grill and season with delicious flavourings. Once ready, why not grab some drinks, pull up a plastic chair and join the locals eating and socialising in the hustle and bustle of the night market. 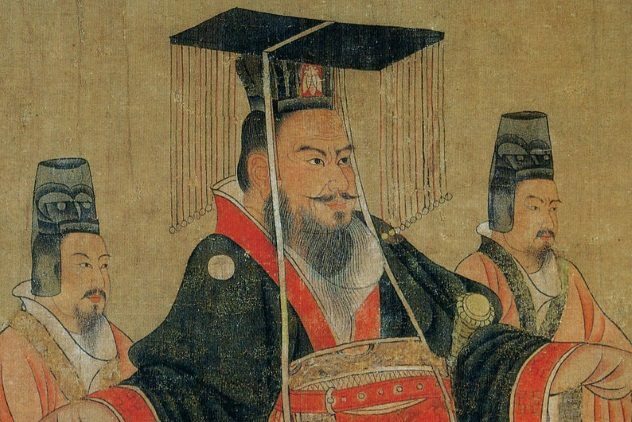 Guā bāo, literally means ‘slashed open bun’ and is a fluffy steamed bun traditionally filled with either shredded pork meat or slices of pork belly. 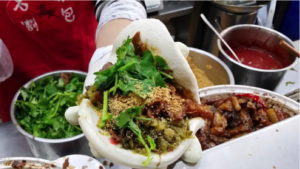 Sometimes referred to as a Taiwanese hamburger, these tasty treats are becoming more popular here in the UK, so if you’re not planning on a trip to Taiwan soon, why not search your local area to find a bao shop near you. After all of that savoury food, why not tantalise your taste buds with a refreshing desert. 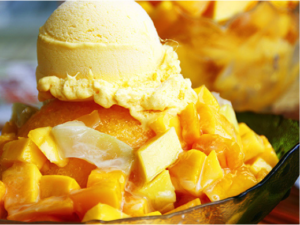 This tasty treat is a bowl of shaved ice topped with fresh mangoes, mango ice cream, and sometimes a sweet mango sauce… so if you’re a fan of mangoes, this should definitely be up your street! Aside from this classic flavour, there are other exciting combinations such as fruit, chocolate, taro, peanuts or mochi. True to the name, you’ll smell this one before you see it and I promise you, it’ll be everywhere! Similar in flavour to a smelly cheese, the tofu is served either crispy or stewed in a spicy sauce. The Taiwanese equivalent to marmite, you may either love it or hate it, but how you could go to a night market without trying it? Just hold your nose and I’m sure you'll enjoy it! Octopus, sausages, chicken wings, chicken hearts, tofu, fish balls, fish heads... you name it and they will barbecue it! Choose your skewer selection and pop them in a plastic basket for the vendors to grill and season with delicious flavourings. 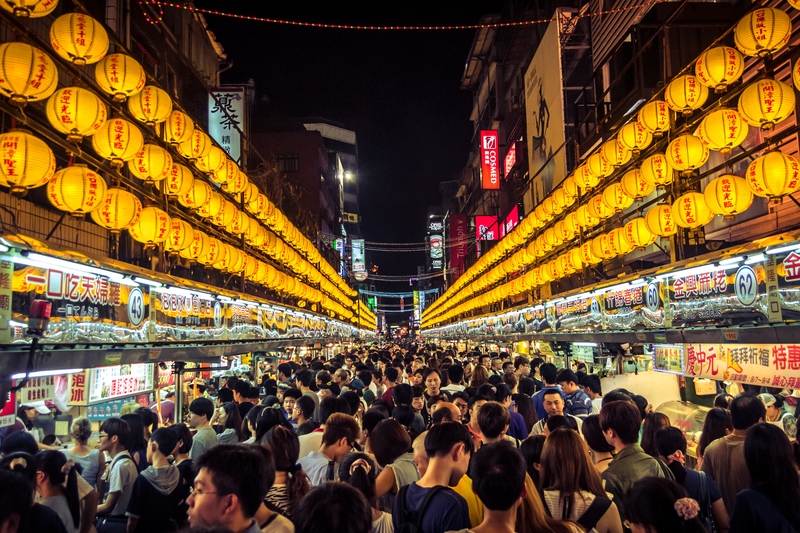 Once ready, why not grab some drinks, pull up a plastic chair and join the locals eating and socialising in the hustle and bustle of the night market.